Hashim Amla is finally making his return to the world of cricket when he plays for the Cape Cobras in the upcoming T20 for Cricket South Africa, coach Ashwell Prince announced on Thursday in Cape Town. Prince has also confirmed that CSA is hoping that Alma might be able to participate in a short spell taking place in England ahead of the Cricket World Cup. The Cape Cobras are set to play a total of 5 games during the domestic T20 before the South Africa squad for the World Cup is announced on 18 April 2019. The opening tournament on Sunday against the Lions will be the first participation for Amla in competitive cricket since 1 March 2019. 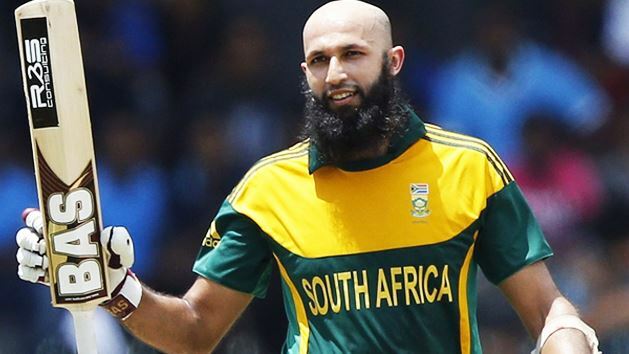 Hashim Amla last played for the South African cricket team in February when they faced Sri Lanka in two Tests. After that, he was given compassionate leave from the team to be with his father that is currently ill.
Amla’s situation has improved slightly since then. The 36-year-old is currently short of a match and form ahead of the deadline announcement for the South African cricket squad for the World Cup. His place in the cricket squad isn’t settled as of yet, and Linda Zondi, the selection convener for the CSA, told reporters that the process of selecting the team is giving him nights without any sleep. Amla began his season in a horrible form where he averaged only 10.14 with his bat along with two ducks in 7 innings in the Mzansi Super League while playing for Durban Heat before he turned things around with big runs. This included a 27th ODI hundred when Pakistan paid a visit. After spending time away from cricket to be with his father, Amla made his return to cricket this week at Durban and will fly to Cape Town where he is set to join the Cape Cobras before their initial game during the T20 Challenge by the CSA. Ashwell Prince thinks that the cricket tournament will give Amla valuable time to get back into form before the cricket World Cup.